Up! 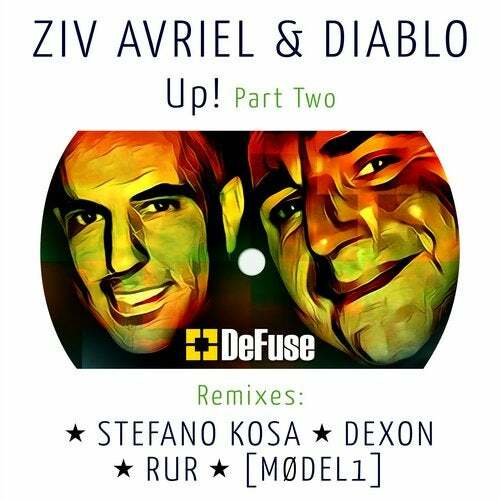 Part 2 remixes of the original by DJ's Ziv Avriel & Diablo is finally here, starting of with a tech house floorfiller by rising star Stefano Kosa from Milan (Italy), a great producer and dj who performed at Pacha, Ibiza and with a long list of wicked releases on some top notch labels. Next in line is Amsterdam's finest In'Deep'And'Dance recordshop owner Dexon with a powerful, deep and dark minimal techno version. Happy to welcome back RUR as well taking you on a trip with a very strong and banging dark techno remix. Last but not least [MØDEL1] from the Drone Existence massive is topping it of with a tough and industrial techno version, ready for any proper warehouse party / underground rave, beware!